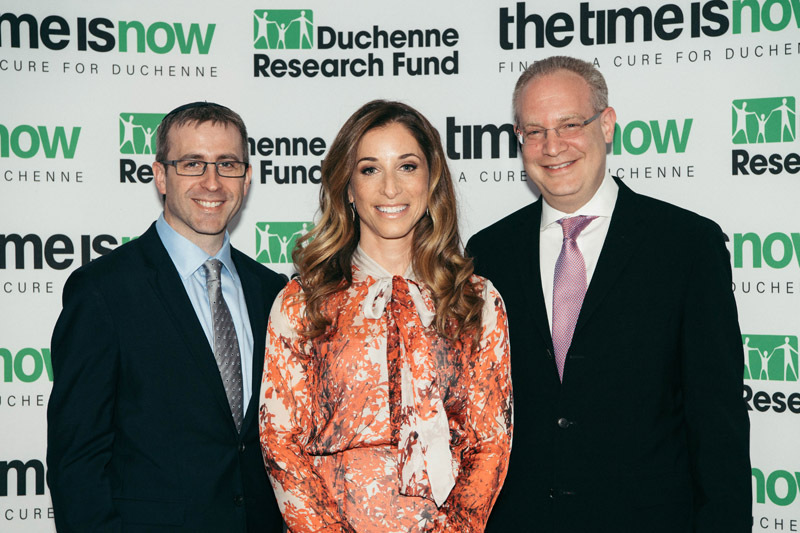 The Duchenne Research Fund raised £1.2 million at its ‘The Time Is Now’ Gala Dinner on 5 May at the Lancaster London Hotel to help find a cure for Duchenne muscular dystrophy – the biggest genetic killer of children worldwide. The funds raised will enable the DRF to continue its exceptional work in funding research into treatments for this devastating muscle-wasting disease, which claims the lives of hundreds of thousands of boys by their mid-to-late twenties. Click here to donate and add to our total. ‘The Time Is Now’ theme explored the myriad scientific breakthroughs that – with sufficient funding – will enable boys to live with Duchenne rather than die too young too soon. In his keynote address, world renowned genetic researcher and head of the DRF’s Scientific Advisory Board Dr Ronald Cohn (pictured top right) left the 740 guests in no doubt that finding effective treatments was now within reach. Dr Andrey Zarur, Founder and Chairman of Boston-based Solid Biosciences, lauded the DRF’s role in seed funding the biotech company’s ground-breaking gene therapy project for treating Duchenne patients. Robyn Pete, whose four-year-old son Felix has Duchenne, spoke of the hope the DRF has provided to newly diagnosed families. TV and radio presenter Clive Anderson kept guests entertained as he hosted the charity auction.